"You put one dwarf in front of the other, and soon you'll be walking to Erebor!" 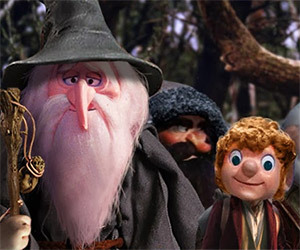 Check out these great images of The Hobbit in Rankin Bass style. 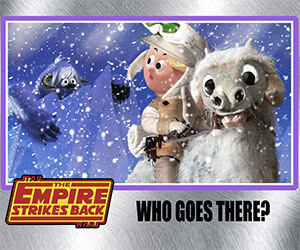 Ernie the Elf makes a cute Luke Skywalker and Santa works well as Obi-Wan Kenobi. Check out the rest of the Star Wars characters redone with Rankin Bass puppets.